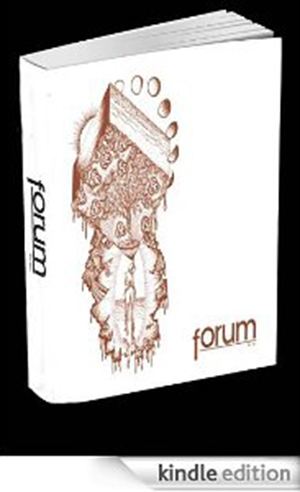 Past issues of Forum magazine can be found at CCSF’s Louise & Claude Rosenberg, Jr. Library, R335 (Archives). Clockwise from left: acrophobia (1971), Reality Trip (1972), (no title, 1973), Mild Perversions (1974), Double Mirage (1975), & other lovely insects (1976). “(untitled),” by S. Hawthorne originally published in Forum (1972, City College of San Francisco).